I’m your partner in health. Don’t feel embarrassed or fearful about discussing your digestive issues. Let’s work together to achieve better health. Dr. Gilles’ medical career began with his interest in biology and passion for helping others. His fascination with the GI system evolved with his education in medicine. 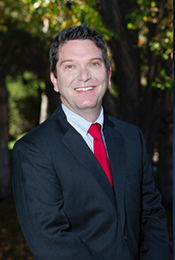 In 2005, Dr. Gilles graduated from the University of Nevada School of Medicine. He completed his residency at Vanderbilt in Nashville and his fellowship in Gastroenterology and Hepatology at the University of New Mexico. He began practicing medicine in 2005 and joined Digestive Health Associates in 2017. When Dr. Gilles is not in the office, he still finds time for his community and family. While in East Tennessee, he volunteered for Healing Hands, a group that provides medical care for the under insured and uninsured populations in the Appalachian region. During his spare time, Dr. Gilles plays soccer with his sons, runs half marathons with his wife, kicks back with a good book, or hits a few rounds of golf. When it comes to practicing medicine, Dr. Gilles wants each patient to feel comfortable and open when discussing their health concerns. He tells patients, “Don’t feel embarrassed or fearful of talking about your digestive issues. I’m here as a partner in health. Let’s lose the stigma and get healthy.” And, reaching that health goal is exactly what Dr. Gilles does through advanced diagnostic therapies and procedures, such as endoscopic ultrasounds and therapeutic endoscopy.